You are currently browsing the tag archive for the ‘decorating for the holidays’ tag. There are 3 weeks til Christmas. 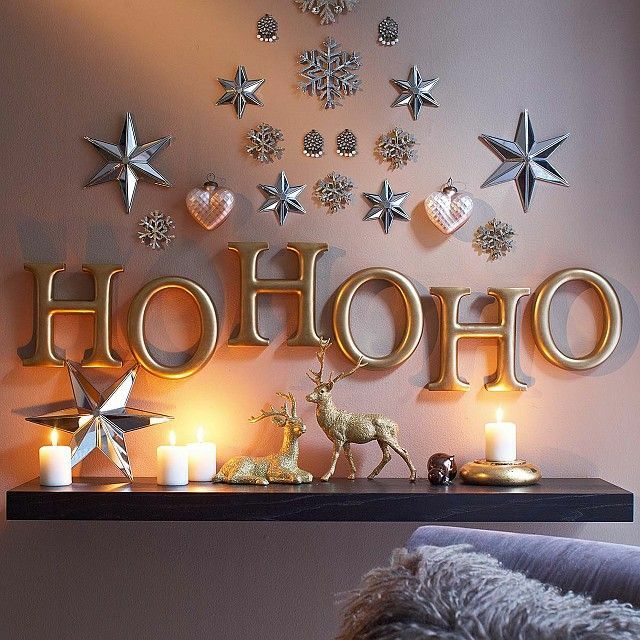 Have you started to decorate your home for the holidays yet? Come on Ebenezer, it is time to get into the Christmas spirit! It’s time to get motivated and decorate. Say it with words – Write on a mirror with erasable markers, add wooden letters to spell out a holiday greeting on the wall, add a frosty message to windows, etc. Colour your world – Bathe your space in a festive monotone. Add all silver decorations to your Christmas tree, paint the town red around your living room, go green in your kitchen, etc. Recycle greetings – If you keep old Christmas cards, why not use them to decorate your space this Christmas. Create a beautiful Christmas collage, add them to picture frames for a Christmas change-up, use them for wrapping paper, etc. Light up your life – Lights make everything cheery. Don’t stop at the tree. Add lights to the greenery on your mantlepiece, toss some into a glass vase with Christmas ornaments, decorate your table centrepiece with some glittery orbs, etc. Sweeten the pot – Christmas is synonymous with sweets. 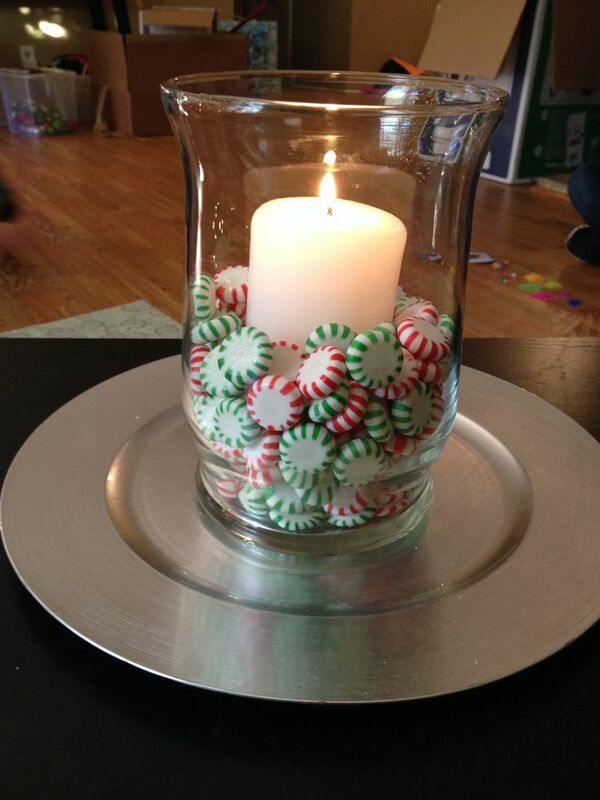 Add candy canes to candy dishes, colourful mints to a vase with a candle, craft a wreath out of bright bonbons, etc. Wrap it in ribbons – They’re not just for presents anymore. Add festive ribbons to urns with evergreens, dangle ornaments from the chandelier via ribbon, wrap ribbons around standing lamps to make them shine in a whole new light, etc. Name game – Get creative with table place names. Let your guests know where to sit at table via homemade ornaments like cheery personalized snowmen, glittery glass ornaments engraved with names, artful angels in the likeness of the recipient, etc. Stocking stuffers – Everyone gets a stocking, but what about adding some as part of your decor? Fill them with pine cones to hang by the fire to help spark a blaze, use them as a garland on your banister, hang an oversized stocking on your door in greeting, etc. Plant some love – The Christmas tree isn’t the only greenery you can add to the house over the holidays. Blooming Christmas cacti add a bright addition to your decor, magnificent amaryllis is a show-stopper for any room, poinsettias come in a range of sizes and colours to add to your seasonal setting, etc. Don’t go nuts – Allergies aside, many holiday traditions find inshell nuts plentiful this time of year. Take them out of the nut bowl this year. Add them to platters with candles in the middle, glue them into homemade wreaths, mix them into vases with other festive pieces like holly, red dogwood, pinecones, etc. Scents of the season – The scents associated with Christmas can transport anyone. More than just the Christmas tree can add a festive aroma though. Add a few drops of pine essential oil to pine cone wreaths, stud oranges with cloves to release both the healing scent of clove and citrus, twist some cinnamon sticks into your garlands, etc. Put a bow on it – Every present needs a bow, but where else can you add them to your home? 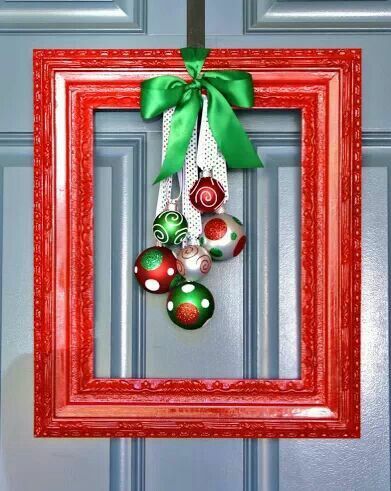 Why not add bows to picture frames, tie one on your mailbox, add them to the back of your dining room chairs, etc. What other ideas can you add to the list? Don’t forget to share! Let’s face it; not everyone is the Martha Stewart of Christmas. There are plenty of folks who are staring out their windows wondering where the rake might be. The one that they forgot to put away last week. Before London, Ontario got hit with upwards of 70 cm of snow in a single day. Yeah. Good luck people! You’ll find it when all the snow melts in the spring. I’m pretty sure this deluge will last that long. Under the circumstances, I suspect that Londoners can look forward to a white Christmas this year. At the very least, all the snow that walloped London got people in mind of Christmas a little early this year. Not only are Santa’s helpers already in the malls and Christmas carols jingling in the background, but everywhere you look certainly has that winter wonderland feel, including the mountains of snow in parking lots. It’s amazing how fast those mounds add up! How high are the piles beside your driveway? The kids are snowboarding off mine. Santa’s boot filled with presents, pine cones, evergreens, candy canes, etc. Now that is a dozen simple ideas that even the least crafty among you can handle. They help the Christmas budget stretch a little further and make Christmas more about the simple things in life. Isn’t that the beauty of the holiday? Hello weekend! You are always a welcome addition to any week. The perfect time to relax, reconnect with family and friends, tackle some chores, or get out and have fun in your neighbourhood! Do you have plans for this weekend? Are you going to tackle some Christmas chores? Perhaps I can suggest a few ways to cross some of those things off your list while still having fun this weekend. Friday November 22, 1:00 p.m.
Tuesday November 26, 1:00 p.m.
Monday December 2, 1:00 p.m.
Wednesday December 4, 7:00 p.m.
Now, how about the inside of your home? Well, if you are looking for crafting help, you could head to Michael’s. Not only do they have tonnes of arts and craft supplies, but they also offer classes to give hands-on experience. On Saturday at the 1737 Richmond St and 3080 Wonderland Rd S stores, they are hosting a Festive Felt Stocking workshop for kids. Get your kids to make their own stockings and maybe one for everyone in the family this year! Workshops are 30 minutes in length and run from 10-11:30 am. Cost is $2 and includes supplies. Ages 3 and up. Shopping is easy this time of year with all the Christmas Bazaars on. Here are a few places where you can start your holiday shopping. Green Christmas: Fairtrade, local artist, earth friendly, alternative gift giving Christmas expo. Nov 23, 9 am – 4 pm at Talbot Street Church (513 Talbot St). One stop shopping for all your Christmas gift giving. Featuring art, fair-trade coffee, live musicians, alternative gifts like “chickens for families in Haiti”, and plenty more. No cover charge. Annual First Nations Art and Craft Show and Sale: Celebrate a handmade holiday. Nov 24, 10 am – 4 pm at Museum of Ontario Archaeology (1600 Attawandaron Rd). Over 25 craft vendors selling jewellery, moccasins, pottery, beading, soapstone, +++. Art and craft demonstrations. Door prizes, and popular penny sale. Admission by donation. Chocolate Sunday: Christmas arts/vendor bazaar. Nov 24, 12:30 – 4:40 pm, at the Hilton Hotel (300 King St). Includes Chocolate Fountain, Silent Auction, Door Prizes & a great selection of Christmas Vendors for seasonal shopping. Tickets are $15 for individuals and $35 for families. In support of Life Spin. ALSO; For the past nineteen years LIFE*SPIN has facilitated a Christmas Sponsorship program that provides additional support to the poor families in our community. This program relieves poverty for low-income families with children over the Christmas season. LIFE*SPIN matches low-income families with those wishing to help a disadvantaged family celebrate Christmas. How much do you still have to do to get ready for Christmas? Got any tips for making it easier, faster or completed with local help? Christmas is five weeks away. You have a mere 35 shopping days left to fill the stockings, deck the halls, and prepare for holiday celebrations. It might sound like plenty of time, but that is really only 5 weekends with which to do everything from decorate your house (inside and out), to ordering your turkey, and completing all the last-minute details, like ironing the linens for the Christmas table. That’s a lot of work (unless you’ve got a team of minions that tackle your chores, you lucky soul). Have you made your list yet? Do you need a little help organizing your time? Time to decorate! 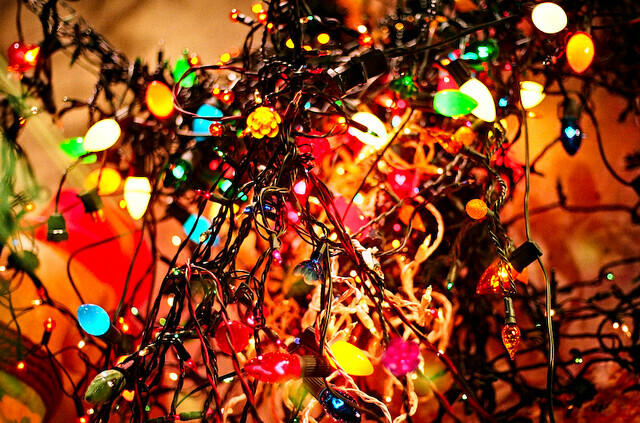 How tangled are your Christmas lights? Decorate the outside of your house. Before you find yourself frozen solid to a ladder, grab the lights from storage and get hanging. Whether you trim your trees, eaves or every inch of your property with a Christmasy glow, it is far easier to do when the weather is comparatively milder. 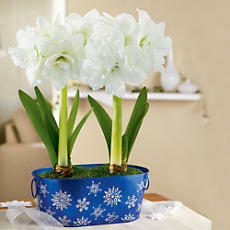 Don’t forget to give your planters a festive feel too. Add evergreen boughs, snazzy red bows, or simple birch branches for a holiday look that won’t be bothered by snow. Don’t forget wreathes for your doors. Many area nurseries create beautiful displays that will make your house shine. And if you have to climb on the roof to attach a wooden Santa to the chimney, or eight tiny reindeers to the roof, make sure you have a helper or some kind of spotter for safety’s sake. Of course, if you want the cheery glow, but don’t want the hassle, you could always contact Christmas Decor London to decorate your home for you. They specialize in lights, garlands, wreathes and more, plus I hear tell they do a nice job. All you have to do is pick your colours, then move onto the next task on your list. Once the outside of the house is shining bright, it is time to tackle the inside of your home. This is a great time to pick up a duster and clean your home. Before you even look for your boxes of decorations, take the time to pack away extra decor items while Christmas takes over your world. With them stored, scrub cobwebs from the corners, wipe the mantelpiece, and dust any shelves that will host your Christmas items for the next month. That includes everywhere from your living room, kitchen and any bathrooms that might be seen by guests visiting over the holidays. Choose a simple one- or two-colour scheme decor palette to give a designer theme to your home. Bring the outdoors in with design items like pine cones, dogwood twigs, birch bark, or cedar boughs. They add beauty as well as a delightful scent to any space. Embrace Kitsch. Do you still have your Grandmother’s old glass ornaments? Have you collected an eclectic mix of Christmas baubles at garage sales over the years? 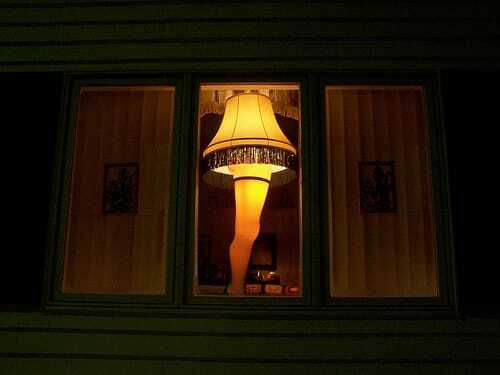 Is the leg lamp from “A Christmas Story” your favourite holiday centrepiece? Mix it up and make Christmas unique at your house this year. Time is beginning to tick. If you haven’t started yet, it is time to hit the malls. I know there are plenty of folks that leave their shopping til the last-minute, but you have better selection the earlier you shop guys! Honestly (no, my wife didn’t force me to say that). Barring the malls, there are lots of Christmas markets around to browse through, like Christmas in the Market at Western Fair Farmer’s Market. If that still strikes fear into your hearts, you could also just hit the virtual mall and shop at home from the comfort of your easy chair with the help of your laptop. Just make sure to leave enough time for delivery! It wouldn’t be the holidays without a few Christmas parties to attend. If you happen to be hosting one, whether it be a party or Christmas dinner itself, there is plenty to prepare for. You need to make sure you have anything from enough toilet paper for the number of guests who will be visiting, to sufficient glasses, plates and cutlery. If you are having a formal sit-down meal, place names for the table make life easier when it comes time to be seated. Plus, don’t forget to iron tablecloths, pick up extra chairs as necessary, polish the silver service, and make sure you have that giant turkey ordered in time for the gathering. You are almost there! Christmas is just about upon you. You might still have some last-minute shopping to finish, but the house should be decorated and ready to go. The last of your tasks are items like wrapping presents, finalizing your Christmas menu, baking cookies for Santa, and enjoying the joy that Christmas brings. There is just enough time left to have a glass of Christmas cheer with the neighbours and maybe gather some reindeer food to sprinkle for Rudolph on Christmas Eve. Don’t forget to clean up fireplace for Santa, so his suit doesn’t get too tarnished with ashes and soot. As I take a look at my list, I wonder how much double-checking I have to make. What have I forgotten? Did you send out Christmas cards? Have you watered your Christmas tree? Did you open all the doors of your advent calendar? Have your children found the Elf on the Shelf every day? What other traditions do you have in your home over the holidays?